This means the chefs should be able to prepare meals with as little hinderance about as possible. This also applies to the additional kitchen staff and service staff that need to enter the kitchen. An ergonomic kitchen saves money in both the long and short term and reduces the risk of accidents. The size of the kitchen should be proportional to the size of the dining area or the number of seats in the dining area. The rule of thumb is that the kitchen should have 0.46 square meters of space for every seat in the front of the house. 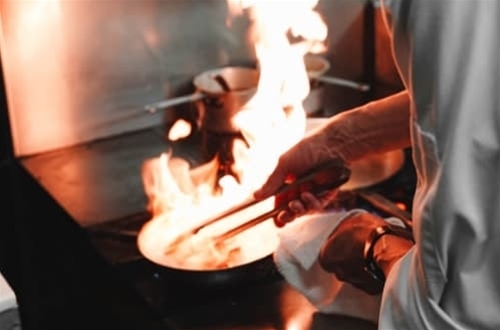 The kitchen staff simply can’t work in an area that is full of smoke and steam, so it’s crucial that the kitchen be properly ventilated. The two main types of kitchen ventilation system are kitchen canopies and ceiling ventilation, often used together to ensure maximum airflow across multiple cooking stations. The venting itself is usually low pressure ductwork, and the recommended material for maintaining hygiene is stainless steel. 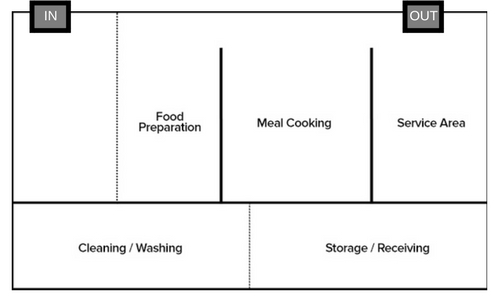 In this configuration, the preparation of meals flows down a straight line. This is the configuration of choice for small restaurants that serve fast foods or do not have large or complicated menus. 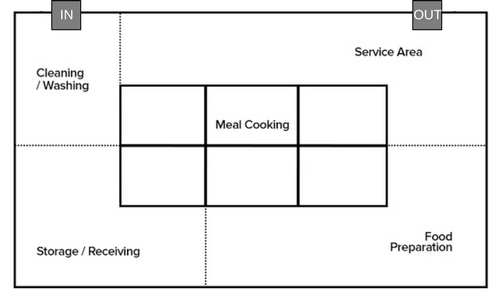 In this kitchen, the layout is in the service of the shortest preparation and cooking times. This kitchen can be energy inefficient. For example, equipment used to chill food might be found close to equipment used to cook or fry food. A single long island dominates the space in this kitchen and is used for cooking. Prepping is usually done on tables against the walls. This kitchen has preparation areas and work tables that are dedicated to operations such as cutting, mixing or cleaning the food. Equipment in these zones is tailored to what needs to be done. No matter how the kitchen is ultimately configured, it will need to be flexible. Trends in foods come and go and some persist, and the restaurant has to be prepared to meet them. This may mean new equipment or even new cooking techniques. Movable prep tables or storage units come in handy here. Besides new trends in cuisine, a restaurant can be counted on to have a change of staff fairly regularly. The next chef may do things very differently than the chef who came before them, and the restaurant has to be flexible enough to accommodate the new regime. Electrical equipment should be energy efficient. The restauranteur may need to pay a bit more for equipment that consumes less energy, but it will be worth it in the long run. The equipment must also be able to be repaired in a timely manner. 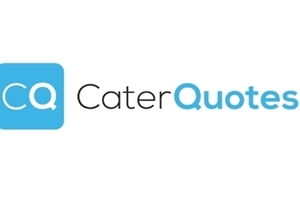 This means there should be a professional service that specializes in repair and maintenance of the equipment or a place where replacement parts can be delivered to the restaurant quickly. Hot areas and cold areas should, ideally, be kept away from each other. This not only saves energy but makes sure that food that needs to be maintained at a certain temperature stays at that temperature. Refuse and washing areas should be kept away from the food. Meals that are ready to be served should go out one exit and empty plates should come in through one entrance. The ware-washing machines, drying racks and sinks should be close to this entrance so the dirty plates can be simply dropped off. Clutter should be resisted. 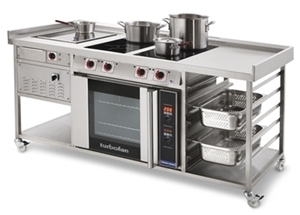 A commercial kitchen inevitably has a lot of tools but this does not equal clutter and chaos. Similar instruments and tools should be stored together, and everyone in the kitchen should know where they are kept. Storage areas can be separated into places for cleaned dishes and utensils, The kitchen must be kept clean, and so should be easy to clean. Having wall-mounted storage such as wire racks and movable equipment makes it easy to mop the floors. The floors themselves should be easy to clean. 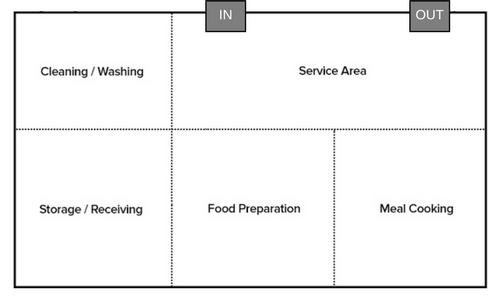 With this in mind, the restauranteur should consider floors made out of non-porous ceramic tile. Tables should be made out of stainless steel, which is also easy to maintain. 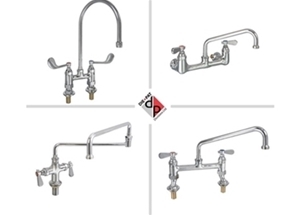 Hand-washing facilities should be easily accessible, especially near the prep tables. These stations should themselves be cleaned consistently.